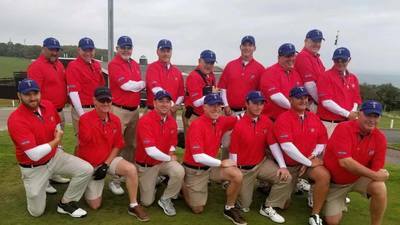 The Fightmaster Cup, a trademarked international competition between the best players from NAOAGA and the United Kingdom's Society of One-Armed Golfers, in a Ryder Cup-style format, occurs every two years just before the Ryder Cup. The competition started in 2008 with the Americans winning the Cup and Europe capturing the Cup in subsequent years (2010, 2012, 2014 & 2016). The 2018 Fightmaster Cup tournament was held from ​September 18th-22nd.